Though the building was completed financial difficulties were increasing as contractors were pressing for payments. To meet this contigency a further loan of Rs. 2,000 was approved to be raised by means of shares. During 1913 an annexe was found necessary due to the increased activities and rapid progress of the Institute. Accordingly the Bar, the Secretary's Office and the Billiard Room were added to the main structure at a total cost of Rs. 6.376. This necessitated raising a further loan of Rs. 8,000 at 7 per cent from the National Bank of India Ltd. It was cleared by 1917. The Sweep was inaugurated during 1906 based on E.A. Turf Club. It brought quite a decent revenue but had to be discontinued during the first World War in 1914. To further augment the funds a Goan Institute Dramatic Society was founded as early as 1906. Billiard Tournament was run for I. J. Tavares'Cup, which was won by Mr. R. Knowles, an honorary member. Provision of Rs. 400 every year until 1917 was made to equip the Library and Reading Room. During 1906 Government leased a five-acre plot at Ngara for 21 years for playing fields, but due to the short-sighted policy of some of the members, it was not fully developed and eventually during 1925 had to be surrendered back to Government. A golden opportunity was lost, if not today we should have had the most central place in Nairobi. The Goan Merchant's Cup for football was won by G.I. during 1913 against the Railway. Nazareth Bros. Cup for football was won in an open competition in which five Asian teams competed. Mr. Aloysius D'Mello, the captain, was highly praised for leading his side to a brilliant double victory. Dr. Ribeiro's football Cup was also competed for but went off our hands. Cricket too was played by members but the standard of play was rather poor hence Timothy D'Souza's Cup could not be won. As early as 1914 our ladies took part in Tennis it was that year that a new court was built at Ngara. Our hockey career began in 1913 when G.I was the only Asian team allowed to compete for the European Merchants' Hockey Shield played exclusivelv for Europeans. How far sighted our pioneers were can be gauged from the idea of starting the Sports Casualty Fund for which initiative Mr. R. Correa deserved the credit, but gradually the fund died out, as there were presumably no casualties or standard was improving and sporting. spirit was showing its face! During 1906 a scheme to provide for the education of our children was mooted out but as the parochial school was soon to be opened it was felt that our needs could be met by it. Many of our young men today would be surprised to learn that the first debate during 1909 was on "Is alcohol in moderation injurious or beneficial to health". This was proposed by Messrs. F. Mascarenhas and D. Franco. Later Mr Ignatius Sequeira delivered a lecture on "Friendship". Mr. E. Franch D'Souza on "Young men and Their Type" and also on "Superstition in India" as compared with European countries. Dr. Alexander D'Souza on his "Reminiscences of his sojourn in Europe" and Mr. H. T. Shelton on "A Game of Football"
The seventh Anniversary of the Institute was marked by the first appearance of the journal entitled "PROGRESS" but later on had to be suspended for lack of support. Attempts were made to bring out a nurse for the Goan community but for want of guarantee of maintenance the scheme fell through. During the first World War, the Institute assisted the various war charities by handsome contributions and by placing the Hall at the disposal of the Red Cross Society. On 1st Apri 1909, His Excellency the Governor, Sir James Hayes Sadler, was given a farewell party at the G.I. on his transfer to the Windward Islands. 1909-H.E. Col. Sir Percy Giroud, K.C.M.G с.В. D.S.O., Governor and Commander in Chief of E.A. Protectorate. 1912-H.E. Sir Henry C. Deldfield, K.C.M.G Governor and Commander in Chief of E.A. Protectorate. 1913-Dr. Artistide de Souza Mendes, Consul General for Portugal in Zanzibar. 1917-Rt. Rev. Bishop John Gerald Neville. D.D., C.S.Sp., Bishop of Carrache and Vicar Apostolic of Zanzibar. 1948-Jose Leopoldo de Neiva, Consul General for Portugal in British East Africa. Christmas Sports were first organised during 1909 and continued till 1913 when War interfered in its activities. Principle features of these sports were items for ladies. During 1916 through the gallant efforts of Mr. J. M. Campos, representation was secured forthe Goan community on the Municipal Council and Mr. Campos was the first to be nominated to fill the post. In the following year, 1917, elections were keenly contested by Dr. R. Ribeiro and Mr. R. A. Nazareth and it is rumoured that a good deal of money was spent, some say to the extent of Rs. 30,000 by one candidate and Rs. 10,000 by the other. Mr. Nazareth won the election by a narrow majority of six votes. Though the elections were contested not as members of the Institute, but as Goans, it had certain amount of repercussion on the management and the activities of the club as the members themselves were divided into two camps. During 1925 a large programme of improvements was undertaken. The floor was relaid with wooden blocks, and boys' quarters and store room were added. The greatest battle in the history of the Institute election was fought during 1933, which decision was later contested in the court of law. This however was the cause of block resignation of 80 members from the Institute during 1936 and for the formation of another Goan club. The Ngara play ground had to be surrendered during 1926 because no developments had taken place because of the jealousies of the town residents against the Ngara officials. During 1934 the Juja Road playing fields were allocated to the Institute and a pocket of land belonging to Mr. Abdul Wahid was secured through the efforts of Dr. A. C. L. D'Souza. Negotiations for the Duke Street property to be surrendered to Government were established during 1928 and the property was valued at Shs. 80,000/- by a public valuer, Mr. Tannahill. Again during 1929 another storm was noted as nobody would take over the charge of the Management and it was decided to hand over the keys to the Police authorities, but Mr. John S D'Souza who was the Secretary kept the doors open and brought the members to their sense of responsibility. During 1938 the first Sportsmen's Day was organised by Mr. Romeo Fernandes then Sports Secretarv. The outbreak of the second World War during 1939 brought influx of Goans into Kenya and therefore increase in membership. During 1943 another big battle over the G.I election was fought and was the cause of many bitter ill-feelings among members. In September of 1944 a gigantic Fete was organised which brought in a profit of Shs. 33,000/- net. Mr. Marian Gama was the Organising Secretary of the occasion and deserved credit for its success. 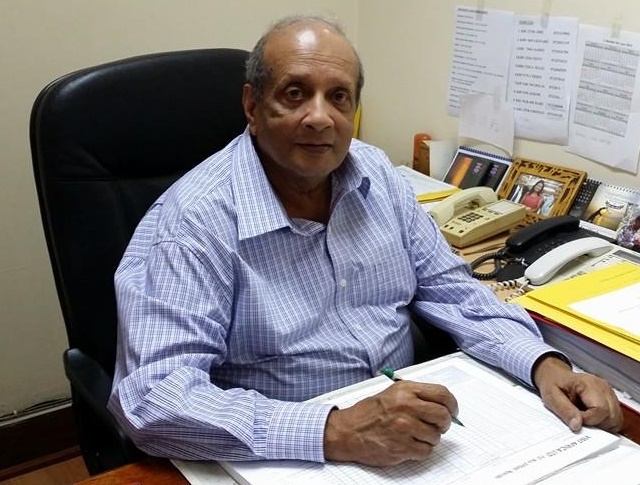 At the Annual General Meeting held during 1946 Mr. Christie D'Souza proposed a Resolution on the NEW BUILDING SCHEME which was seconded by Mr. Hilary D'Souza and supported by Mr. Romeo Fernandes, D. G. Remedios and several others. At a subsequent meeting when Mr. Christie D'Souza was in the chair this Resolution was unanimouslv adopted by a record vote of nearly 450 members present. During 1945, through the efforts of the Goan Institute, the Kenya Goan Sports Association was formed to encourage sporting activities among all Goan clubs in East Africa. Mr. F. X. D'Souza of Dar es Salaam won the much coveted trophy "VICTOR LUDORUM" for three years in succession during 1943, 1944 and 1945. A similar feat was performed by Mr. Stanley Braganza during the years 1952, 1953 and 1954. The main Institute hall was extended by 30 ft during 1947 to accommodate the large membership. During February of 1955 an offer from the E.A. Breweries Ltd. for the purchase of the Institute property at Duke Street was accepted The price obtained was Pounds:36,500. This date was also the realisation of the NEW BUILDING in Juja Road.